A characterful contemporary dining chair with an edgy modern look. The padded steel frame is upholstered in a selection of fabric, leather and synthetic leather - see corresponding links below all color options. 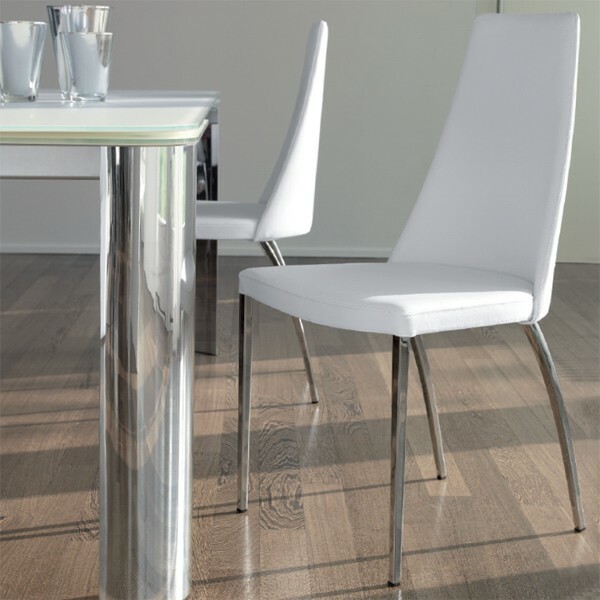 Chromed legs as standard, lacquered legs are available on request.